Höegh Autoliners Shortsea Americas is our own shortsea service in the Caribbean region. Here we operate three regional trades, serving a wide range of ports from Dégrad des Cannes, French Guiana in the south to Port Everglades, FL, USA in the north. 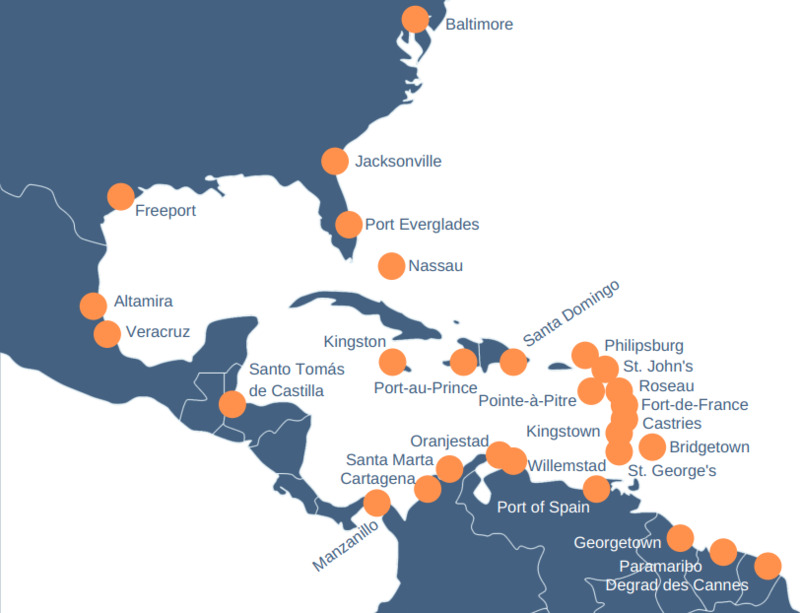 The three vessels connect with each other and with Höegh Autoliners’ deep sea trades via dedicated hubs in Kingston, Jamaica and Pointe-a-Pitre,Guadeloupe, creating a vast network of ports that can be reached. Services are fortnightly except the Lesser Antilles which have a monthly service. Höegh Autoliners Shortsea Americas has offices in Panama City, Panama and Miami, Florida, USA. Across the region, we have dedicated agents that perform sales, customer services and operations on our behalf. As a customer to us, you will experience a local commitment and experience combined with the strengths from Höegh’s global presence.